Pray for wisdom and a discerning heart that’s always quick to forgive. 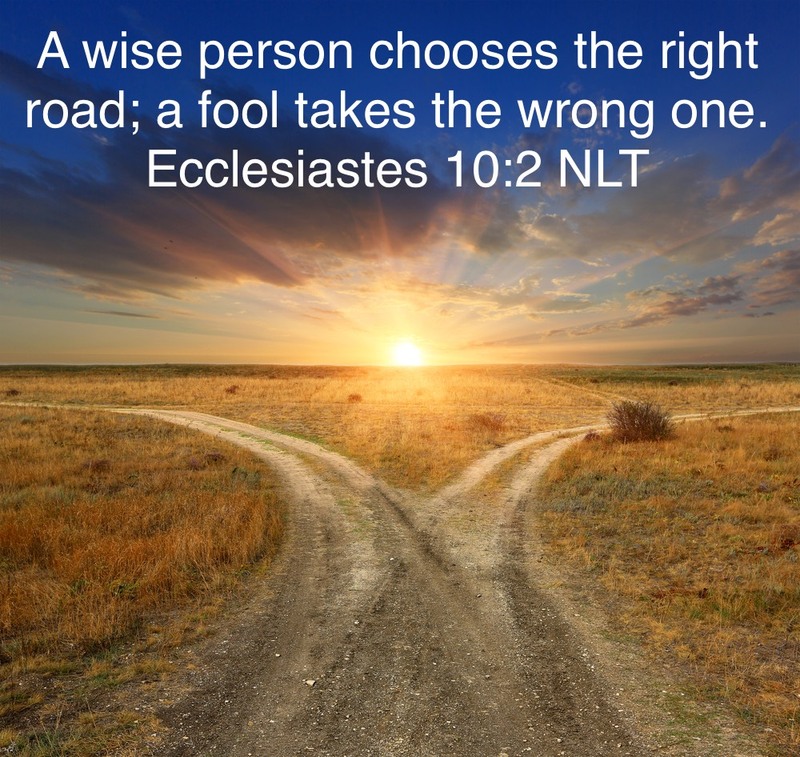 A wise person chooses the right road; a fool takes the wrong one. Fools base their thoughts on foolish assumptions, so their conclusions will be wicked madness;  they chatter on and on. Dear Lord God, Abba Father, Jesus my Savior. I pray that You might give me a heart of wisdom. I pray that I will always make wise choices; and when two paths seem to be equal, I pray You will help me to trust You even as I make my decision. Give me a heart that is willing to obey You, to respond in faith to the wisdom You give me. I pray for each of mine that they might have a heart of wisdom. Keep them from ungodly counsel that seems good, but will, in the end, be destructive. Keep them from following the path of least resistance, and from friends who would lead them astray. Teach them, even as You teach me, that the wise path is often the most difficult path, but in the end, it’s the most rewarding. Direct our paths, O Lord, for we are like sheep who are prone to stray. Make us lovers of wisdom. This entry was posted on July 2, 2018 at 7:10 am and is filed under One Walk. You can follow any responses to this entry through the RSS 2.0 feed. You can leave a response, or trackback from your own site.